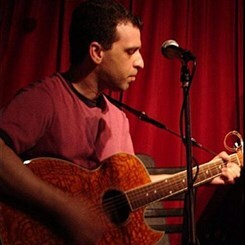 Tom has been playing guitar and piano for over 20 years and teaching successfully for close to 10 years. He has experience teaching students of all ages ranging from 5 to 85 years old. Tom studied music composition and education at SUNY Purchase and Boston University. He also has experience performing and writing songs for Eric's In Oregon. The groups CD "Small Circle" can be found on iTunes and Spotify. His latest solo single "Pocket Full of Time" can also be found on iTunes. Tom has performed around the area in coffee houses, cafes, local churches, libraries, and community groups. Over the years, Tom has developed a style of teaching that is simple and relaxed allowing him to reach many students at different learning levels and abilities. He has experience teaching students with special needs as well. He enjoys teaching music theory and songwriting. Tom has many styles that range from Classical, Rock, Blues, Jazz, New Age and Pop. Tom teaches all all styles of music but he especially enjoys teaching the music on The Beatles, The Who, Simon and Garfunkle, Led Zepplin, The Rolling Stones, Pink Floyd, U2, Neil Young, Jack Johnson, Scott Joplin, Mozart, Bach, Beethoven and many others. Tom also plays and teaches harmonica.